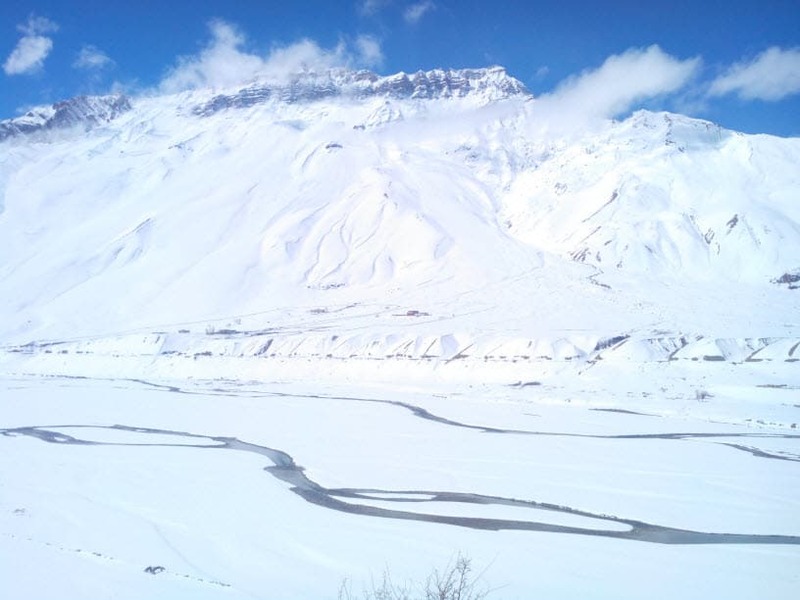 I always had dreamed of experiencing White Spiti Valley in pristine white colors of snow with white river beds midst its beautiful wide valleys. Finally, in the first week of March 2014, I did get a chance to realize this dream of mine as I went on a trip to White Spiti Valley buried under a carpet of snow all over. I already knew that most of the sightseeing places within Spiti Valley will be closed, whatever open would be bonus for me, food/stay will be hard to come by or very basic availability and no doubt that living up there under (–)15 degree Celsius with harsh conditions would not be easy piece of cake. Download your FREE high-resolution version pdf copy of this Spiti in March day by day plan infographic guide. If, you liked it and found it helpful, please feel free to share it with your family and friends to help them too. Shooting Stones, Massive Landslides, Knee Deep Slush, few Gushing Water Crossings, Car Wreckage ON and OFF the roads… and WHAT NOT… It was one hell of an adventure drive to Spiti Valley from Kinnaur Valley over NH-22 (now known as NH-05) or Hindustan – Tibet Highway. Though I am going to write a detailed Travel Tale and reviews of the guest houses I stayed, but just before that would like to share what itinerary I followed, route I took and the updates on road conditions for reaching these places. Day 1: Started the drive from Delhi – Ambala – Zirakpur – Solan – Shimla – Kufri – Narkanda – Rampur – Jeori. Stayed at PWD Rest House at Jeori. Day 2: Resumed the tough drive from Jeori to go through Bhawanagar – Tapri- Powari – Akpa – Puh – Khab – Nako Stayed at IPH Guest House at Nako. Day 4: Rest Day at Kaza. Went on to explore Ki – Kibber and then drove back to Attargoo, diversion to Pin Valley for taking some pictures of the valley. Day 8: Weather cleared a bit, raising the hopes of getting out of Spiti Valley and Kinnaur Valley, especially. Started early in the morning, went on through Kaza – Tabo – Nako – Khab – Puh – Powari – Jeori. We had to stop near Powari at Pangi Nalla as there was a piece of road that had sunken. A new road was cut through the mountain to pass us through. Then, struggle with knee deep slush and finally, reached Jeori to stay at the same PWD Rest House. Day 9: Completed the final part of the trip from Jeori – Rampur – Narkanda – Shimla – Solan – Zirakpur – Ambala – Delhi, sweet home. Overall, it was quite a thrilling experience with every day coming with a new kind of experience and snow galore over there in Spiti Valley in March 🙂 … You should look at my article on a winter trip to Spiti Valley. Delhi – Ambala – Zirakpur – Solan – Shimla – Kufri – Narkanda – Rampur – Jeori: Excellent, smooth sailing. Jeori – Tranda – Bhawanagar: Mostly good roads with some patches of poor ones. Bhawanagar – Wangtoo – Karcham – Shongtong – Powari: Poor roads at most places with deep slush stretches and bumpy rides. Powari – Pangi Nalla – Ribba – Akpa: Horrible roads, almost like a death way with many landslide and shooting stones points. Near Ribba road was sinking at couple of places. Pangi Nall, just ahead of Powari was extremely horrible. Akpa – Jangi – Tinku Nalla – Spillow – Puh – Khab: Mix of Average and Poor roads with few landslide points. Khab – Ka Loops – Nako: Good roads mostly. Nako – Malling – Chango – Shialkhar – Sumdo: Nako – Malling was bad with a landslide point just before malling. After Malling to Shialkhar it is mix of good and average. After Shialkhar to Sumdo, mix of poor and very poor with a good KM stretch of Shooting Stones when nearing Sumdo. Sumdo – Hurling – Tabo: Mix of average and good roads. Tabo – Shichiling – Lingti – Atargoo – Kaza: Tabo to Shichiling was very scary and horrible with about 6-7 KMs of a stretch where we had constant Shooting Stones. In later half of day, this part if very dangerous and especially when it is snow melting season. From Lingti to Atargoo to Kaza is a mix of average and bad roads. Kaza – Ki – Kibber: Mostly good roads barring only few stretches. Very scenic too. Lingti – Rama – Lallung: Lingti to Lallung is a dirt track and presence of snow at many places made some stretches bad otherwise average road conditions much like any other dirt track. Shichiling – Dhangkar Monastery: Good roads mostly being well tarred. After Powari till Spillow via Akpa, the signals of both Airtel and Vodafone were going ON/OFF and after Spillow as said above, completely gone. 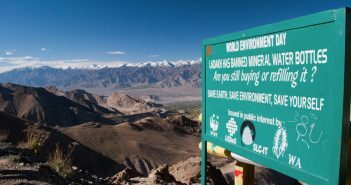 Data Connectivity was always available wherever the signals were present though it was mostly 2G in the first half and towards the remote places of Kinnaur and Spiti, the data was just merely GPRS/EDGE based. You can always refer my article on mobile phone connectivity in Spiti Valley for more details. Fuel pump at Powari has been shutdown I think and the new petrol pump at Tapri should be considered for refuelling before going towards Spiti Valley where Kaza will be the next petrol pump then. Otherwise, if you miss Tapri, you can go towards Peo as diversion after Powari, just in case you are short on fuel. There is SBI ATM in Kaza. The Bank has also installed POS as well just in case of emergency and if you have SBI Cards, then you can debit Rs 1000 at a time from that POS. I will start sharing the detailed Travel Tale of this White Spiti Valley Trip, the reviews of the properties I stayed and places at which I ate food, very soon. 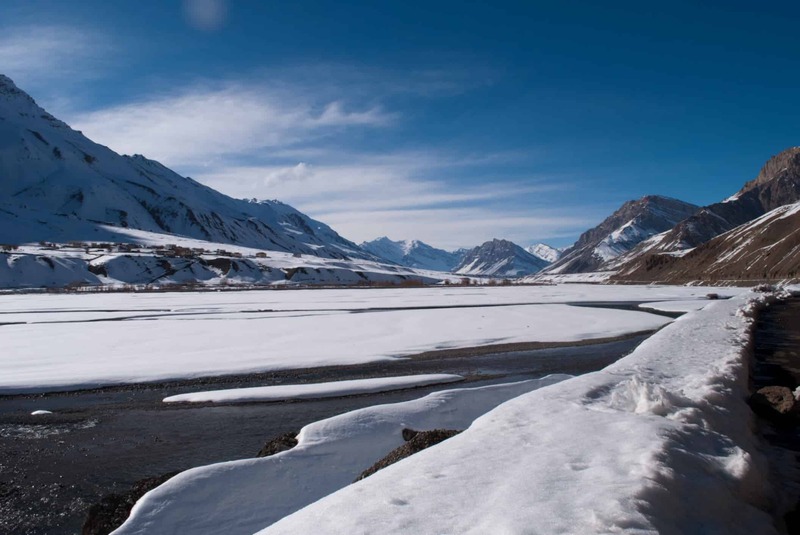 You can always look at my winter Spiti trip itinerary for planning such a trip. I have read your blog. This is nice and full of informative. I really appreciate the list you have shared. It helps me a lot. Hope you will share this type of blog in future as well. I am waiting for that. I am planning a bike trip to Spiti in May ending. As there are news that this year snow is less, is there any possibility of Rohtang pass to be opened by that time? Hey dheeraj nice write up with all details for march spiti riders. I believe u had this trip in 2016 march. Very informative. Helpful. My question is what do you think compare to 2016 in 2018 will see some upgrade in road conditions? New constructions? Or it will be same as two yrs old like structure? Can you share any updates which isn’t in ur article. Expected 2018 status of spiti for march april 2018 trips? Any suggestions or to watch out for certain specifics? Nothing much change in years and the only thing uncommon this year is that less snow has fallen this year and snow is not in abundance. Rest mostly things will be same. me and wife are planning a trip to Spiti from Shimla route in March -20th till 28th? May i know will the weather suitable to make a trip and also on the safety measures. Mostly will hire a car with a driver who has the knowledge of this route? How would the temperatures would be? Sanjeet, are you OK to travel in harsh cold conditions with limited and basic stay options without toilets/running water and basic food? I am talking to few folks who arrange the spiti tour and they told they will provide the accomodation and food along with taxi( Innova or Bolero). I am ok to face cold conditions but just to know what temperatures it can go to? Based on the experience for march? Also when u mentioned no runing waters- and basic food not even in proper hotels? The agency i am going through has given few hotel options and they confirmed food and water wont be a problem. Temperature will be around sub zero in the night, winds can make it feel less than zero too especially in evenings and mornings. The water freeze, so they take out water from toilets, not sure how those agents will be providing you the water in toilets in Spiti. I have been twice there in winters, once in May. Even in late April/early May, a friend opened the toilet only as special gesture. The truck for foods do not travel in winters to Spiti, so food supplies are limited. Again without those agents sending own food, it will be pretty basic food available in Spiti during that time. Mostly limited to daal, rice, roti/chapatis. Both times I had been, we took our eggs and cooked them and also various packs. So, do confirm from them about expectations. Hei, i am planning a bike trip to spiti valleys from delhi in first week of march! Is it possible to attempt so-while keeping the above on mind? Pin Valley and Mud Village road will be closed in March – April Akshay. However, you can travel to Spiti Valley by public transport. In case of road block, the buses from each side work and drop the passengers at the each end of blockage. Passengers walk to different ends to change the bus. Hello Akshay I am too planing on same dates for Spiti ,I have heard that there are passenger taxi available from Kinnaur to Spiti . It will be much better that you check the DoW Travel Calendar from the link in the Main Menu of website. There had been about 600+ entries of the people planning their trips in last couple of seasons which helped them have better visibility for finding out travel partners. You can filter entries based on the preferences you have and increase chances of visibility. Hence, kindly explore DoW Travel Calendar and also post your entry too. This will help you find other fellow travellers looking for company and increase probability of finding your post by others too. Can you please share the cost of the hotels & food from Sangla, Tabo & Kaza & if you have the contact numbers of the hotels. How did you travel via bike or car.? You can get connected directly to some drivers in Himachal or Spiti Valley or Kinnaur Valley at the link: List of Taxi Drivers for Spiti Valley & Kinnaur Valley. These drivers can come and pick you up from Manali / Shimla / Delhi / Chandigarh too, of course with a price of the pickup as well. The rates of the taxis are about Rs 3500 per day depending on the number of days you plan to travel, more the days, less the price. If you are 2-3 in the group, you can opt for sedan taxi cars as well which charges around Rs 2200 per day. Otherwise, taxis, in general, are also available on the spot from Shimla or Manali from respective taxi stands. These drivers can help you with finding local stay options too. For stay options in Kinnaur and Spiti, check the link: Some Good Options of Stays in Spiti Valley / Kinnaur Valley. You can keep an average of 900-1200 per person per day for food and stay on the tour to Spiti Valley. I am planning a trip from 1st June to 10th June from Delhi to Spiti via Shimla and return from Manali. Can you please tell me the condition of road during this time of the year. We would be driving in i-10 grand and 2 bikes (Enfield and Avenger). Do we need a pass while passing from rohtang to Manali. You do not need any permit in case you plan to travel from Kaza – Rohtang Pass to Manali. It is required in other direction. The road from Kaza to Manali would have just opened at that time, so not in very good shape with all the nallas and bad, unleveled road there. i10 is going to surely struggle and take a beating on Manali – Kaza road for sure and some beating on rest of the other road. Unless you drive in such conditions with bad roads, it is better to take a taxi or high GC vehicle with you. HI I am looking for itinerary of simla to spiti valley to simla OR manali (23’rd april to 29’th April). could someone suggest me how to set my tour. The road from Manali to Kaza will not be open during that time of the year. So, only option is hectic trip from Shimla – Spiti Valley – Shimla in 7 days. Some routes below to villages around Kaza may not be open, so skip them in itinerary below. Can we hire a car for two people like alto OR something else…. what will be approximate cost .. is it safe? You can hire something like Etios which costs around 2200-2300 per day. You can get connected directly to some drivers in Spiti Valley or Kinnaur Valley at the link: List of Taxi Drivers for Spiti Valley & Kinnaur Valley. These drivers can come and pick you up from Manali / Shimla / Delhi / Chandigarh too, of course with a price of pickup as well. We plan to do spiti bike tour in may end 2017. there is lot of confusion in connection of passes not opening by that time. few are saying it only opens after june mid and others say they open by may end?? can u help us getting some clarity on this. 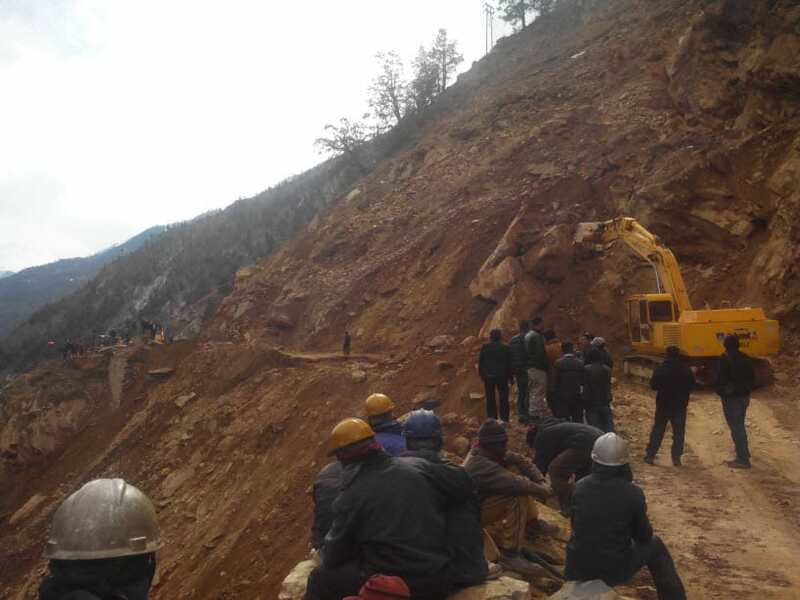 Manali to Kaza road opens by mid of June while Kunzum Pass does open by May end. Hence, if you will ask Passes then they do open by May end but the complete road from Kaza to Manali does not open by mid of June in general. Dear Dheeraj, Back to trouble you. We are planning a trip from Shimla route to cover Spiti Valley in 7 Days and 6 nights. The itinerary decided for now is as below. We shall be doing this trip via innova around 27 May and onwards. You plan is an invitation to AMS as for Nako and Kibber you wont be acclimatized well. I will do Kalpa to Tabo and then may be Tabo to Kibber for a try which will be much better. Rest looks good. 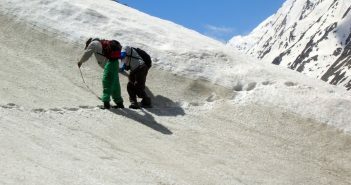 Snow will only be available beyond Losar towards Kunzum Pass or may be around it as well. Road conditions will be OK for Innova. Time is OK but rushed a bit as you may know and budget seems OK to me. Hey Dheeraj, I saw in your itenery, Nako is also mentioned. I had heard that in winter roads to Nako are closed mostly.We are planning to go by SUV in March 23, ’17 onwards. Will it be possible to go to Nako at that time ? What you suggest should we attempt to go there ? Nisha, March end should be OK to travel to Nako. The road would be open unless it snows heavily around your dates of travel. Otherwise, the road to KAza from Kinnaur Valley remains open all round the year. Hi Dheeraj. I am planning to do this kaza route in March mid (from 10-19). Just wanted to know how much snow will be there on he road because it will be my first time driving in the snow but I have completed Ladakh via Srinagar road. Any suggestions would be helpful. Harsh, at places there will be some snow on roads especially after crossing the Pin Valley diversion but with careful driving should be manageable. Secondly, the roads to sightseeing places will have more snow on roads and after crossing KAza, it will be closed. Can you please advise us on how to plan the trip to Spiti valley in March end. We have our own car, planning to have a road trip from Delhi, and we have almost 8-9 days in our hand. 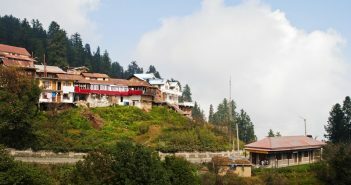 Moreover, would it be possible to plan the trip in a way that we go from Shimla and come back from Manali? Please let me know your views on the same and your suggestions on how to plan the stays as well. Day 6 | Kaza – Hikkim, Komik, Langza circuit – Kaza, Whereever the road is open. Hi, I am planning to visit Spiti valley on bike for 9 days, starting from 28 Jan 2017 . Since this time there is loads of snow on road would it be possible to go Spiti by Bike ? Such an Inspiring article to read. 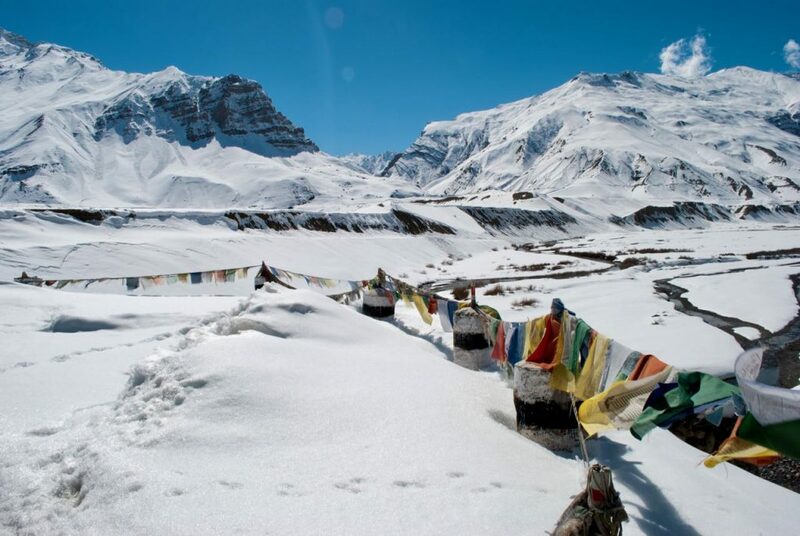 I have been to Spiti Valley in the month of May and the snow had melted and still the nature was so beautiful But it seems a snowy Spiti Valley is now on my Bucket List. Changes, you mean? Well, you will have to ride in snow at times. The conditions can be slippery especially in morning rides. The road conditions are not the best as snow starts to melt taking down glaciers with them. Then cold will be too much so you will have to ride with all the protective gear as well as heavy woolens. Just completed the Spiti Valley circuit in June 2016. Following is itinerary and hotels we used. Others planning the trip may find the information useful. (Almost all hotels done through makemytrip.com, because of pricing and flexibility of cancellation). Yes makemytrip.com pricing can be lower than the hotel direct prices and makemytrip often pays the hotel owners full money, more than what you paid to makemytrip. Day 1 | Sat 18-JUN: Chandigarh to Chail. [Total Distance: 100km]. Started from CHD at around 6pm. Time: 4+ hours. Road is very congested, narrow at times. Highly recommended. Very hospitable. Great rooms. Great food. Highly recommended, We got rooms with great views. Owner: Aman, a terrific guy. I liked this hotel a tad better than the Rakcham one. Both hotels have the same name and are owned by same business partners. Chhitkul is one of the better sections of this entire trip. Reserve time for this spot. On the way to Chhitkul, there is a police checkpost. Car will be stopped there, when you do reach there, stop there. There are great photography spots there. Our driver didn’t intend to stop there. Chhitkul village is awesome. There is a school here, and a waterfront next to it. Great area for pictures. Hotel claims wi-fi but the service isn’t there. Recommended. We initially didn’t plan to stay in Tabo, instead had plans to go up to Kaza. but our driver didn’t recommend doing that. We made a last min stay in Tabo & canceled Kaza hotel. This hotel is very basic compared to the other hotels on the trip, but because of the hospitability and service, I rate it as 4.5/5. At the price we got it for, plus the service, it was a great deal. Tabo Monastery is good. Some shopping opportunities here. Highly (highly) recommended. The best hotel of the trip (cost vs. quality). Owner: Karan. Ask him his story; well it is kind of written in the hotel rooms, but you should talk to him. Very inspiring. Kaza Monastery is great. Pin Valley area is good. We found a riverside approach, where kid had great time. WiFi not existent, though the hotel claims. I tried for hours and got synced once. Highly recommended. Very good hotel and terrific restaurant and service. Little pricey, but with the makemytrip discount, it was a great deal for us. Loved food here. Drive time: 13 hours. Entering Manali city in the evening is a big bottleneck. Left Kaza at 6AM, reached Manali 7:30PM. Breakfast at Samson G Cafe Losar (2 hours from Kaza — best service and best breakfast in the circuit). a. Drive times are very long because of road conditions. Sometimes you will feel you are driving, driving and driving, and not getting time to see enough. We had a 7-day trip, and it was tight. b. Number of visitors in the area is very limited. Mostly adventure seekers. Less of family folks. We were traveling as a family – adults, kid, and older people. I don’t think there are more than 100 people doing this circuit on one day. d. Food was the least of the concern on the trip. Food was very good in the whole sector. Our driver (Vinkal Handa) knew great eating places at every single place. e. Weather – Don’t go by what weather.com says. The area is dry, doesn’t rain (in June), sun was bright and it was warm. We were carrying clothes for low temperature and we didn’t use them even once on the whole trip. f. Zoomcar Vs. Taxi – We had initially planned to take a zoomcar + 1 taxi. Eventually some of the folks couldn’t make to the trip, so we canceled zoomcar. We saw 3-4 zoomcars running on the circuit. You can drive it if you are comfortable. I am comfortable and wanted to drive as an adventure, but at the end of the trip, I wouldn’t recommend doing it. Delegate that job to the taxi driver. Taxi’s are not that expensive, keeping in mind what a mess the roads are, and how much hard work drivers do. I won’t drive my car on this route for 7 days for that much money. h. Talk to local village residents, lamas, local travelers. I wasn’t planning to invest time in that much but because of the company I had, I ended up doing lot of that. Many of them obliged with quality photos also:). You will get to taste local tea, and other stuff, if you connect. i. Food at most of the places will be prepared on demand, AFTER you order, so factor in that time. j. Altitude Sickness: I started feeling it in Chhitkul area and others in the group started feeling in Kaza area. Nevertheless you will have that problem. Sometimes simple walking will make you feel breathless. Nothing extra-ordinary or unbearable. We were ages 9, few folks in early 40’s and 1 around 70.
k. The whole area is extremely dusty. If you have dust allergy, you need to be careful, or plan for it. You can’t drive with windows open unless you are OK breathing very dusty air. l. Overall, this area is for adventure seekers not necessarily for people who wants to see maximum landscape beauty in least amount of time and rush back. You have to be able to tolerate things moving forward at ultra-slow pace. m. And then the tire punctures. We had 2 and Vinkal was quick in resolving those. Keep in mind, drivers can’t plan for too many punctures. They assume 2-3 incidents on the circuit. We were lucky to have only 2. We did the most treachorous part of the trip (Losar – Kunzum – Battal – Rohtang) section without a spare. Some people in the car were tense. n. Last but not the least – our taxi driver: Vinkal Handa – very knowledgeable, networked, and patient driver. Highly highly recommended. His Innova’s are a little old though. Being diesel cars, these are underpowered and have issues runnning on the circuit with AC on. Yes, you will need AC much more frequently than you think you may (in summer months). Also diesel cars seem to emit lot of diesel smell. We are planning to visit to Spiti in First week of july from Manali side. Do we need permit for Rohtang Pass? I am planning to visit Kinnaur Lahaul and Spiti from June 25-1st july. How will be weather condition? Is monsoon expected to arrive at that time? During this time bike trip can be doable? Arghya, you have just 6 days to make a trip to Kinnaur Spiti which seems a bit less on hand. Cant you extend the trip? 2. Is bike riding possible given in this condition? In August, it is all monsoon, In september it fades out and you have amazing fall colors, In July it is mix of rains and dry spells. Your plan looks OK to me. Start from 10june what you recommended? Naim, the road from Manali – Kaza is not open yet. Are you doing it now? Join me on in-depth tour of Spiti Valley. 17 days from Chandigarh to Chandigarh. Using private vehicle throughout the 17 days. Hi Dheeraj (and other expert travelers on this forum). June 19: Chail – Sangla – Chitkul, Stay in Sangla. (I have 3 night stay in Kaza). Am I underestimating some sections of the area? – Any known roadblocks on the entire circle, that are expected to last till mid June. – We have 1 local Spiti valley taxi and 1 zoomcar from Chandigarh to drive a total of 8-9 people in 2 cars. Any issues with that plan? Rakesh, it looks OK to me and doable. Thanks Dheeraj. Appreciate your response. Are there any known roadblocks on the entire circle, that are expected to last till mid June? Somebody was telling me about road closures, but I suspect those are pre-summer seasonal closures. Mid June shall be fine. Do leave early in the day from Kaza to Manali as water crossings will be ferocious in the day time on that route. This is just a note to say THANK YOU!! DOW helped us a whole lot with planning a self drive/biking trip to Spiti which we did between 15th and 25th of April this year. What a trip it was!!! It took us about a week to get back and get over the sheer excitement and hangover of the trip. God was kind and blessed us with snow fall the 1st night that we spent in Kaza… resulting in a heavenly view that we got from our hotel room at The Deyzor (which Karan opened just for our group!). Now i realise what you meant by WHITE SPITI… pure and unadultrated heaven on earth! For those who have not been there… this is a MUST DO on your list of places in the Himalayas. The drives are pretty challenging and conditions can get pretty harsh esp when going off season. But, the people in the region are really friendly and helpful by nature. That really takes the edge off the conditions. Thank you so much Dheeraj, for all the inputs you have been updating on the site… helped us immensly with the planning. 1. How was the weather (tolerable on a bike)? 2. Is it tricky riding a bike in those months in that region? 3. What about food/accomodation? Did you need to do tenting/cooking your own food anywhere? 4. Any advice you would have for a person wanting to ride it out rather than drive, in this region? Sorry about the many questions, and though I have been to Ladakh, this seems like a different ball game, especially with the snow. Last year in July 2015 I had been to Leh-Ladakh and followed the DoW blog. It was really very helpful in planning our trip. We tackled AMS in advance as per your tips and suggestions. This year july 2016 I along with my friends are planning to visit Spiti valley. But as compared to last year. Our days have been reduced. It’s just 4 to 5days. We are planning for a round trip from Shimla to Spiti and end in Manali. Ex Shimla to Manali would be for 6days. Can you suggest a tour plan from Shimla to Manali? Also place to visit and Oracle in spiti valley.